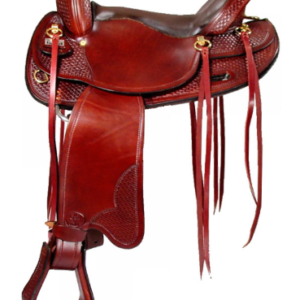 Gaited horse saddles. What are they, and when should you use one? 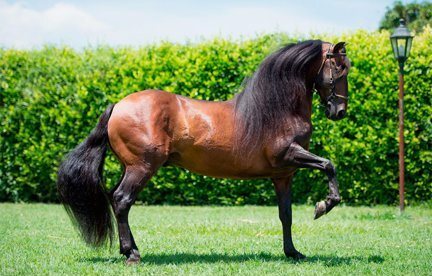 Before I present you with 6 different gaited horse saddles with their features and benefits, I need to explain to you what a gaited horse is and why a gaited horse saddle is needed for this particular breed. Gait refers to the way in which (a person, but in this case, a horse) moves or ambles. Horse gaits are the different ways in which a horse can move, either through natural abilityor through specialized training. Most gaited horses possess a unique quality. 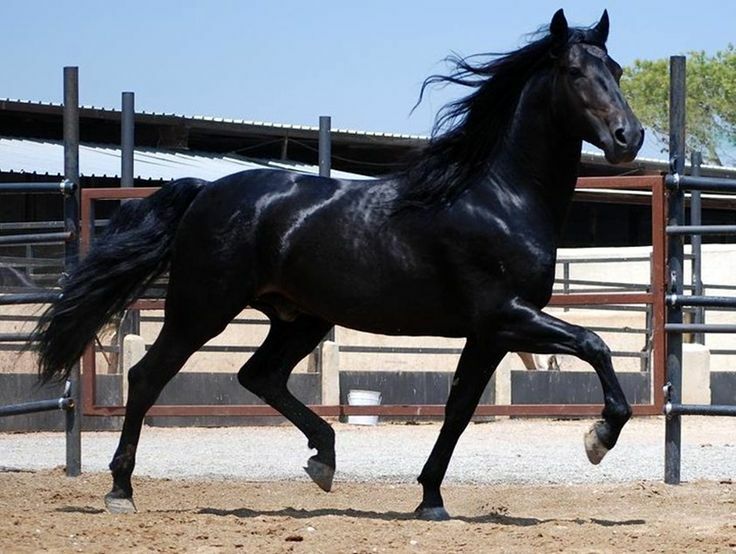 The natural gaits of a horse are (in progressive order of speed), the walk, trot, canter, and gallop. There are variations of these gaits. And some horses lean toward one of those natural abilities more so than the others. It’s kind of like being born right-handed or left-handed. You can use both hands if need be, but you predominantly lean towards one particular hand. Gaited horses are breeds that have been selectively bred for their natural gaited tendencies – meaning their ability to perform ambling gates (smooth-to-ride, intermediate speed, four-beat horse gaits). Because of the variation of additional gates, finding a saddle for these horses can be difficult. Since gaited horses need to move in a certain way, depending upon the breed, a traditional Western saddle canpinch the horse’s shoulder. 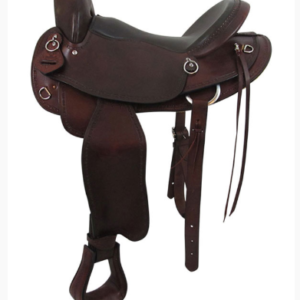 This is because traditional Western saddles have longer skirts and bars. Given that gaited horses have shorter backs, traditional saddles can cause weight distribution problems for short-back or uphill built gaited horses. Saddle makers have taken these factors in mind when designing gaited horse saddles and have tailored the gullet shape, bars, and tree to accommodate the gaited horse. The gullet of a gaited saddle measures 6 3/4 inches, which is in between the size for an average quarter horse and a stockier quarter horse. The shape of the gullet in this saddle is like a tent, or “A” shaped – as opposed to a rounded, or “O” shape, found in quarter horse saddles. The tree for the gaited horse flares out at the edges. The reason the tree flares out is that it needs to accommodate the horse’s additional shoulder movements. Remember in my draft horse saddles post, I talked about the need for ample room for shoulder movement in a saddle. A pinching saddle will shear off the horse’s shoulder blade cartilage. So the tree and gullet of a gaited horse saddle look like a tent, which is perfect for a gaited horses with high withers. The top part of the tent provides higher clearance for the horse’s withers, whereas the bottom of the tent flares out to allow ample room for a range of motion of the shoulders. Because gaited horses are shorter backed, the traditional Western pleasure saddle is typically too long, and thus, distributes the weight of the rider incorrectly. The bars of traditional Western saddles are too long for the short-back gaited horse and thus would distribute the weight of the rider incorrectly. It would also stifle the movement of a gaited horse and cause discomfort. So gaited horse saddles are made with shorter bars. Shorter bars allow for more flexibility, which aids the horse’s ability to amble gait. Lastly, the saddle skirts in gaited saddles are shorter in order to distribute the rider weight correctly and prevent pinching through the top line. 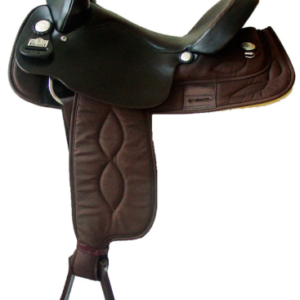 Depending on the brand and the materials with which saddles are made, saddles can be very expensive. 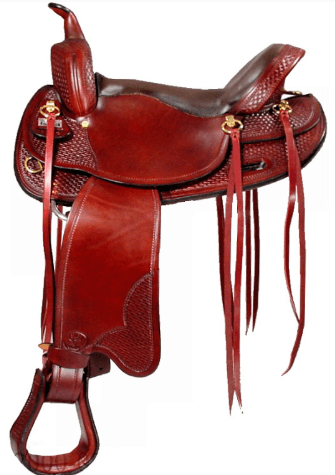 On the other hand, because saddle makers understand that not everyone has deep pockets, they’ve been able to accommodate people of more moderate means by making affordable saddles without skimping on the quality. Below is a list of 6 gaited saddles from expensive to more affordable with their features and benefits. Another great post! I currently use the “Big Horn Custom Choice Fit Gaited Trail” so I can speak to the accuracy of everything you have mentioned. I tore a few ligaments in my knee and have broken my ankle in the same leg twice (soccer injuries), so this saddle has given me the best feel with the least amount of pain and discomfort. The padded stirrups or a must , giving you the flexibility of movement whenever needed. Thank you so much for mentioning the others- I will give them a look to see if they offer more than my current one! Hi Andrew. Thank you for your heartfelt comment! I’m so glad you found the Big Horn Custom Choice Fit Gaited Trail saddle as comfortable as described. I look forward to more of your comments. Hello Shalisha. Every time I read your articles I learn more that horses are just like humans. I have a question reading about the gaited horse if the right saddle is not used will your horse react in a negative way say like trying to buck you off? Hi David. Thank you for your question. If the saddle doesn’t fit and the person keeps using the ill-fitted saddle, the saddle will eventually make sores on the horse’s back, or create back pain. Once that happens, when you try to mount the horse, he can and will give you a hard time letting you get on. If you do get on, he may be in so much pain, that he’ll buck. Hello there Shalisha, very nice article that you have here. I like the descriptions of the different saddles and the benefits of them. Very informative, comprehensive, and makes me want to ride a horse! Well done! Thank you Evan! 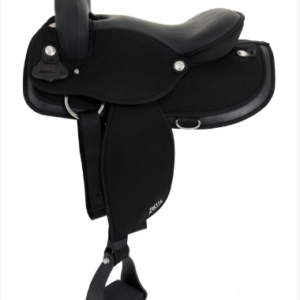 I really do my best to give detailed information about these saddles because it’s so important. Another well informed post! I am learning so much about horses, saddles, and riding! I really enjoy that you put forth so much great information into each of the saddles. Hi Amy. Thanks for your question. The reason the Abetta is lighter is that it’s made with Ralide, which is a plastic. The Big Horn Custom Choice Fit saddle is made with a wooden tree. Wood weighs more than plastic. This is a really interesting and informative post, thank you. I wasn’t aware that gaited saddles are needed for some breeds. I notice there’s a big difference in the weight – 34lb for the Big Horn Custom Choice Fit Gaited Trail compared to 18lb for the Abetta Gaited Trail Saddle. Does this make much of a difference to the horse’s comfort and speed? Hi Amy. Thanks for your comment. The reason the Abetta is lighter than the Big Horn is because the Abetta saddle tree is made from Ralide, which is plastic. The Big Horn Custom Choice Fit Gaited Trail saddle tree is wood. Wood is heavier than plastic. Hi there. I just love your website. The information is always so helpful. The photos are gorgeous. I can almost smell the leather of these saddles as I sit here in my office reading this great article. I have a friend who could definitely use this article. She rides Tennessee Walkers and is currently looking for a new saddle. I’ll pass this link along to her. Hi Wendi. Thanks for your comment. Yes, these saddles are truly beautiful and very well-made! These saddles are beautiful and probably what I would want to purchase in my saddle. I think for the type of riding that I do, this saddle makes the most sense. I ride my friends horses and always use the saddles that she has them saddled for . 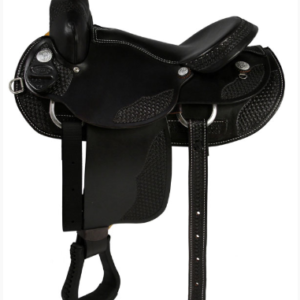 Is there a pro to having my own saddle as opposed to always using hers? The only reason to use a gaited saddle is if you’re using it on a gaited horse – which is a performance horse. 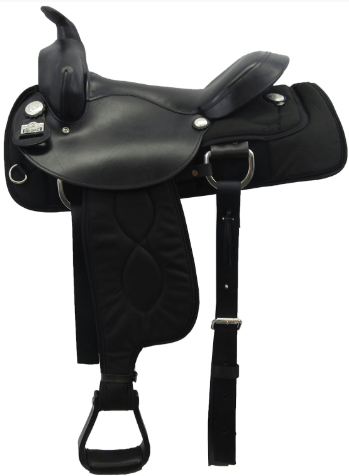 Again, the saddle type you would use is contingent upon the riding discipline you’re going to be engaged in. Another great post. I can learn so much on your site about saddles, in many ways. 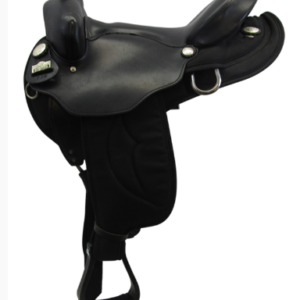 It is really a great source for anyone who wants to learn about saddles, and also for the “insiders” in this field. Thanks for sharing such a great source of pieces of advice and proposals! Hi Igor. Thanks for stopping by and commenting. I’m really hoping to educate people on this topic.